This book is a study of the semantics and usages of the concept of Latin America in the United States, both in everyday language and in social scientific discourses. Its guiding hypothesis is that Latin America has been historically defined in American English in opposition to a self-congratulatory image of the United States of America. This constitutes, in itself, an act of misrecognition because it overlooks the ways those perceived as Latin Americans actually live their lives as political and social beings. As a result of this practice, 'Latin Americans' have historically been ascribed the most contemptible characteristics and been treated in ways that suit the derogatory representations made of them. The book also contains an original contribution to the debate about recognition. Leaning on Reinhart Koselleck's notion of asymmetrical counterconcepts, Feres Jr. devises an original typology of forms of misrecognition and applies it to the analysis of discourses on Latin America. This approach to the problem of recognition has many advantages in relation to the competing neo-Hegelian theory, advocated by authors such as Axel Honneth and Charles Taylor: it can be used as a tool to resist misrecognition without having to rely on a positive substantive conception of recognition. Furthermore, contrary to the neo-Hegelian approach, it is able to address practices of misrecognition that have as an object people who are not part of the 'national' linguistic/political community. The book's narrative follows a chronological order in which discourses and theories about Latin America are placed in their historical context and examined in search of rhetorical strategies that perpetuate forms of misrecognition. 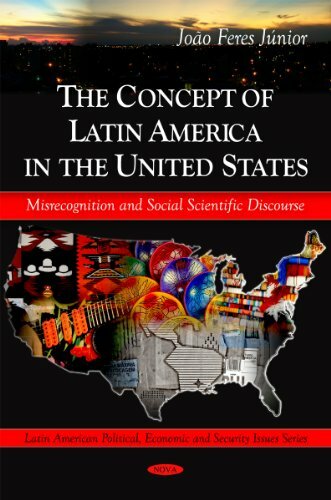 In the end, Feres Jr. demonstrates that long-standing North American pejorative perceptions about the peoples and countries seen as Latin American found abundantly in everyday language survive in social scientific discourse, despite the reiterated claims of objectivity and value-neutrality of the social sciences.